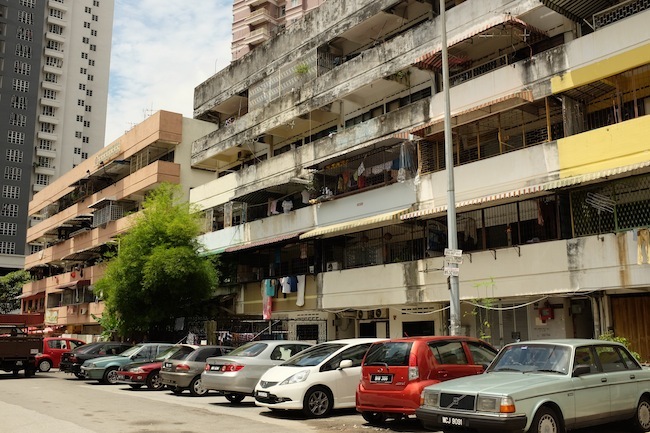 The Last of KL’s Living Heritage Rows? The makchik smiles as she stitches a pair of denim jeans. She leans on the motorcyle parked in the front yard, talking as she sews. 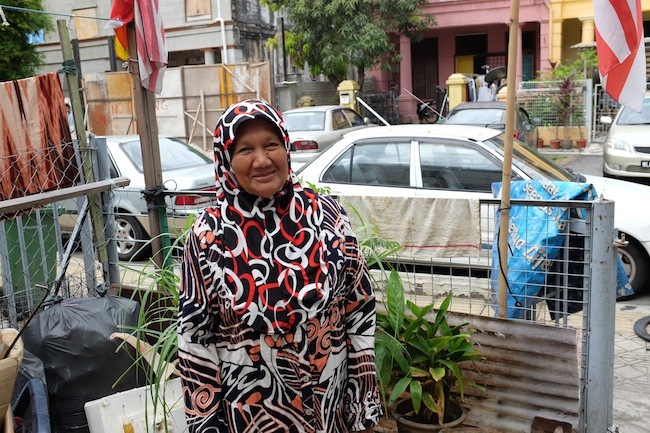 “My kids are in the kampung, but my husband is here, so I followed him. What to do?” she laughs. All around her, there is discarded evidence of other people’s lives: old clothes, mattresses, towels and even a retro keyboard. Another man is dismantling a rice cooker as we speak. 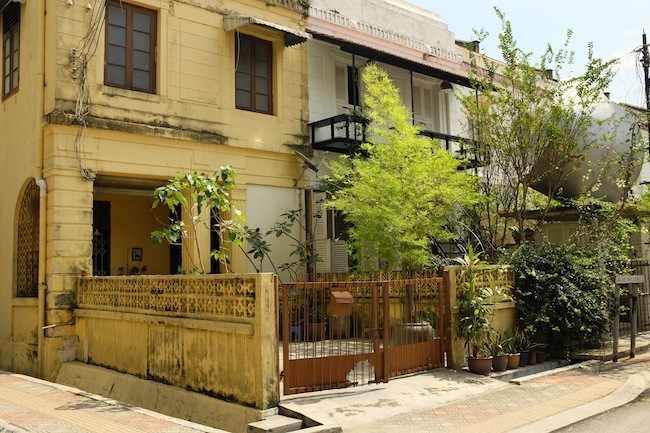 Makchik Ibrahim has lived in this house on Jalan Sin Chew Kee for over ten years. Originally from Kedah, she is a long-term tenant of the house, which has sixteen rooms inside. Along with some of the other tenants, she sorts and sells recycled wares to make some extra cash. 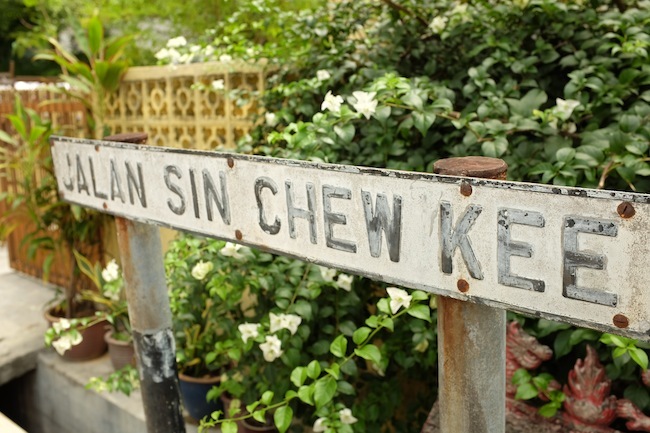 There would be nothing unusual about this scene, except that Jalan Sin Chew is one of the last streets of its kind in KL. 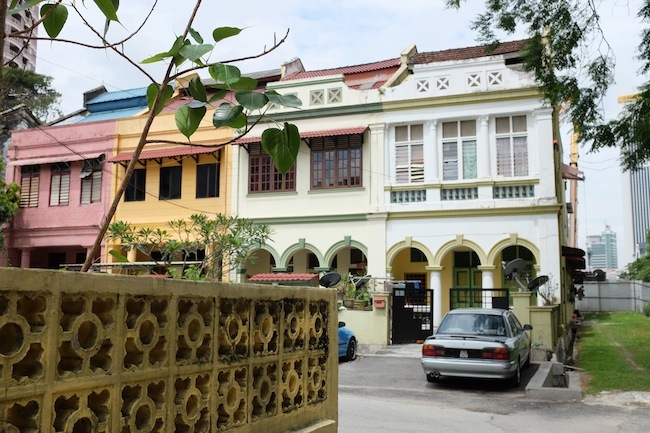 This quiet row of colonial houses has been mostly left untouched, their 1920’s architecture neither gutted nor painted garish colours. Stepping onto the street feels like falling into a time warp. Just a few metres away, the Swiss Garden Residences loom with sleek grey towers. Just across from there, a construction site is carving out a future MRT station. Another hotel is being built behind the street. From all sides, modern development is closing in: blink and all this could be gone. Stepping onto the street feels like falling into a time warp. The quaint houses, which are still mostly residential, give way to a block of low-cost flats further down. To say the area is “mixed” would be an understatement. 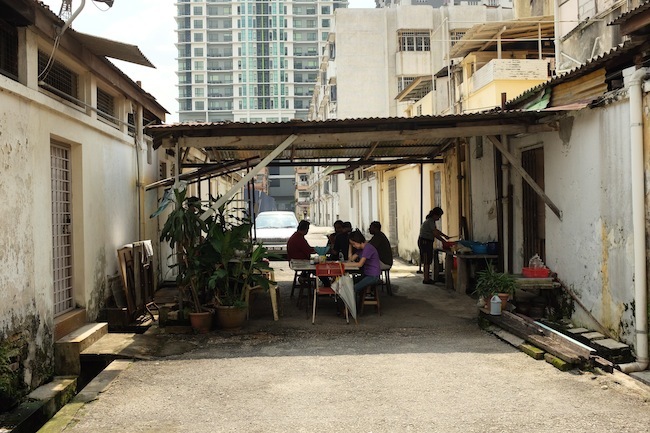 Many lodgings are now rented to migrant workers, who work at building sites nearby, while the modern complexes attract expat residents. Recently, new businesses have been moving in too. 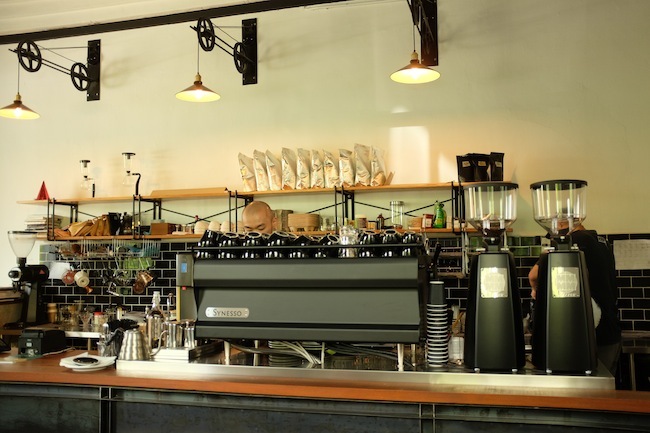 A coffee shop run by local baristas has just opened on neighbouring Jalan Galloway, and there is talk of an Italian restaurant on the same street. Next door to where Makchik Ibrahim lives, the boutique guesthouse Sekeping Sin Chew Kee is in the process of being partially converted into a bar, run by the BIG group. “Rejuvenation”, “gentrification” or “modernization”: the words used to describe the changes in this neighbourhood depend on who you ask. But the changes are happening here, and they are happening now. Perhaps this caveat is due to VCR café, which just opened around the corner – a chic place which takes its beans and brews very seriously. We assure Tony that “normal” kopi O is fine. 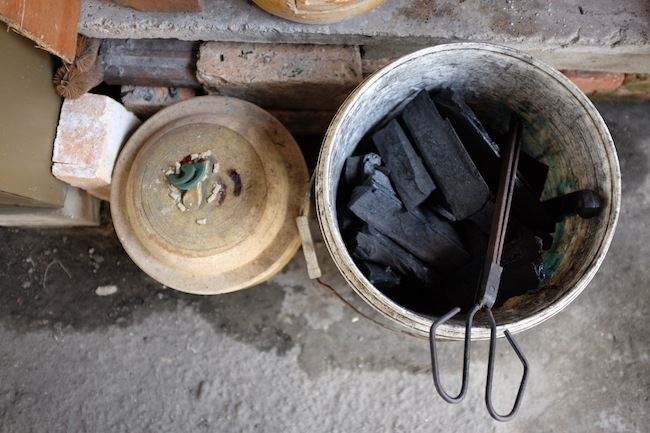 As he prepares the wanton noodles, he points out that everything is cooked over charcoal – a rare method that he hopes to sustain. The stall was first started by Tony’s grandmother, but he tells us that it was closed for about eight years before he decided to open it again. “I wanted to get the community going,” he says. Among Tony’s concerns for the area is the rise in congestion – of both traffic and people. Tony studied Tourism in the UK. As well as running the stall, he has a homestay business, which he sees as a sustainable way to attract tourists while keeping local culture alive. 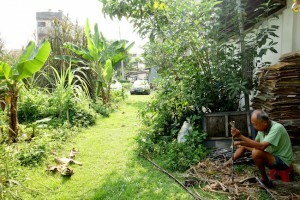 He still remembers the time before Swiss Gardens was built, when the site housed an army barracks. 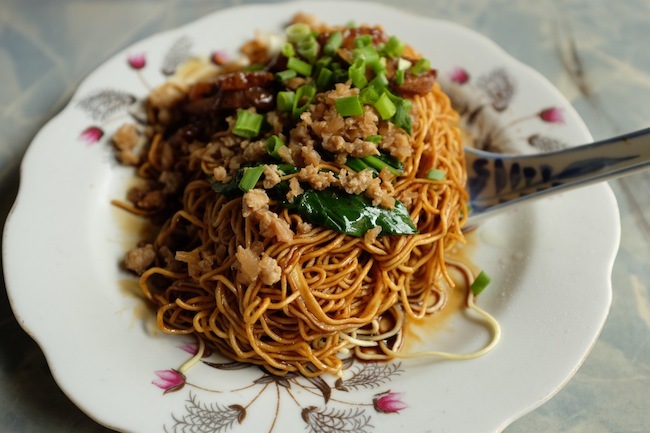 Michael and Christina, who have lived on Jalan Sin Chew Kee for the last 20 years, also run a homestay business. They decided to start Sarang Vacation Homes as a “retirement” business about five years ago, but it has become so popular that they run it full-time. Michael adds that he’s not concerned about the new commercial openings unless they interfere with the “ambience, environment and feel of the place.” According to him, there were plans to open a convenience store on Jalan Galloway but these were shelved after opposition from locals. Congestion of cars and people is a common complaint among residents. Another resident of the street has more pronounced pessimism about its future: “The sense of community is fast disappearing. I don’t know where we’re heading,” says Lim In Chong (aka “Inch”), a landscape architect who has lived here for over 30 years. The house that Inch lives in dates back to 1928. He has converted it into a partial office for his design team Inchscape, while he continues to live upstairs. The renovation has created a spacious sense of airiness inside, while the front gate is concealed with a cascade of plants that give way to a serene garden. 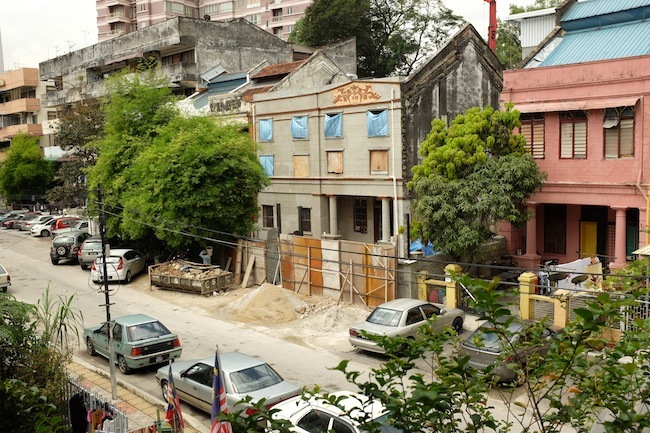 A renovation on a 1920’s house in Jalan Sin Chew Kee. 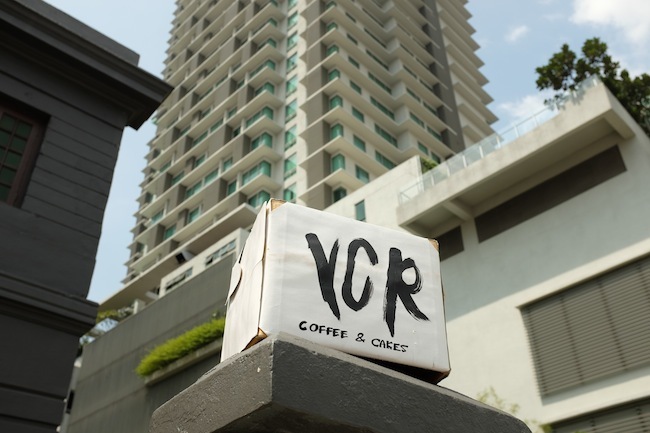 VCR café occupies a handsome black building on the corner of Jalan Galloway. Apparently, this colour was what first caught the attention of the coffee shop’s founders. They then teamed up with the existing tenants (a design agency, Used Tape) to renovate the interior and turn it into a café. The café has only been open for five weeks when I visit, but there are already a few regulars who drift in to chat to the baristas. Against a soothing jazz soundtrack, the latest coffee technology whirrs, gleaming on the counter. The aesthetic here balances industrial edge with heritage details, giving a cosy but polished effect. If it seems familiar, this might be because it’s the work of design group Karya, who are behind the look of Butter + Beans in Section 17. Apparently the café has already been used as the setting for one fashion shoot. Joachim Leong is a full time barista at VCR. 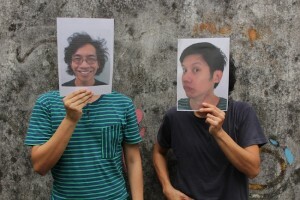 He is also the creator of Café Hop KL, a project that maps independent coffee shops in KL. 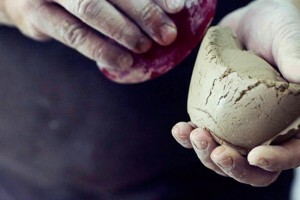 “I’ve been travelling around and you see this happening quite a lot,” says Joachim. With their coffees priced at RM7 and upwards, I suggest that the clientele at VCR must be quite select. “We do see a lot of tourists, backpackers, expats in the new condos. But we’re also seeing lots of people from the local fashion scene… I don’t want to use the “H” word,” he adds, laughing. 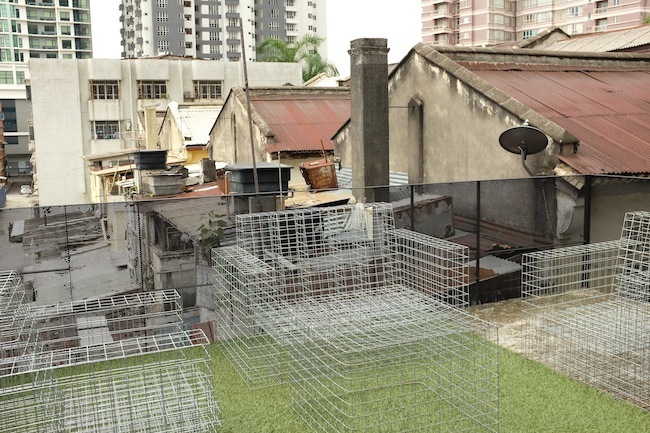 The rooftop garden of Sekeping Sin Chew Kee. Seksan hopes that the Jalan Sin Chew Kee area will not go the same way as Heritage Row, with “no life in the day time.” “I’d like to see a thriving mix of social entrepreneurship, unplanned and spontaneous; from recycling shops to chichi cafes.” His fear is to see the old houses torn down and replaced with “homogenous bores”, as in other parts of the city. Barlai, a new bar and music venue, will open at Sekeping Sin Chew Kee in January 2014. It’s cheekily named after the huge police station behind the street, and the interior is hung with old street signs – thoughtful details which claim a stake in the surrounding sense of place. It’s certainly not a replica of one of the BIG Group’s chain restaurants. 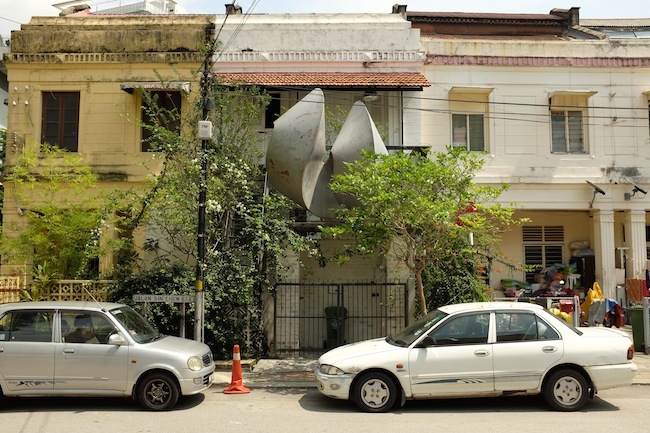 Yet the giant metal sculpture outside stands out sorely among the neighbouring houses. Centre: Sekeping Sin Chew Kee, shortly to be launched as Barlai. Cause and effect in urban development is rarely as simple as the flap of a butterfly’s wings. Jalan Sin Chew Kee stands on prime city property, and some might say that it’s inevitable that the street will soon be lost to high-density buildings in the style of Swiss Garden Residences. Yet new businesses can also breathe hope into the neighbourhood. These businesses rely on the neighbourhood’s aesthetic and nostalgic charm to attract their clientele. Their interest could rejuvenate the area – giving outsiders a reason to fight for its preservation against modern high rise hotels. On the other hand, if the balance tilts too much towards commercializing existing buildings, this could also force out locals who have lived here for generations. Each landowner has the power to decide whether to raise rent, sell the property or build something new. Incoming property owners and tenants also influence the area’s demographic. Perhaps it is not as simple as a butterfly’s wings, but each decision matters. At the end of the day, the neighbourhood’s future depends on the individuals whose lives are tied to it: from the tenant to the entrepreneur, the architect to the property developer. 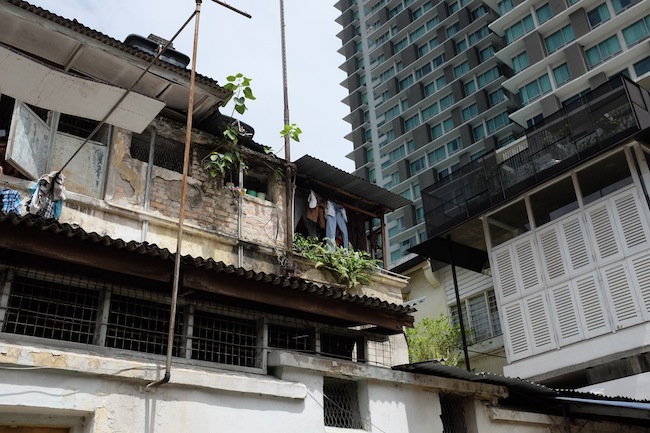 We can have no idea how much longer the houses on Jalan Sin Chew Kee and Jalan Galloway will remain standing. But for now, the streets remain as a link to the past: a pocket of forgotten heritage where people continue to eat, sleep, work and play. Words and photos by Ling Low. Additional research by Yasmin Lane. #BetterCities will be hosting a talk on Place-making in Urban Regeneration on Saturday 30 November. For more details click here.